One of the most enduring mysteries may have been finally solved. How did they build the temples so they stay standing for thousands of years? The answer was in plain sight the whole time. 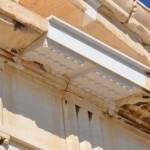 I came face to face with this elusively obvious answer to this puzzle when I visited the Aphaia temple on Aegina Island. 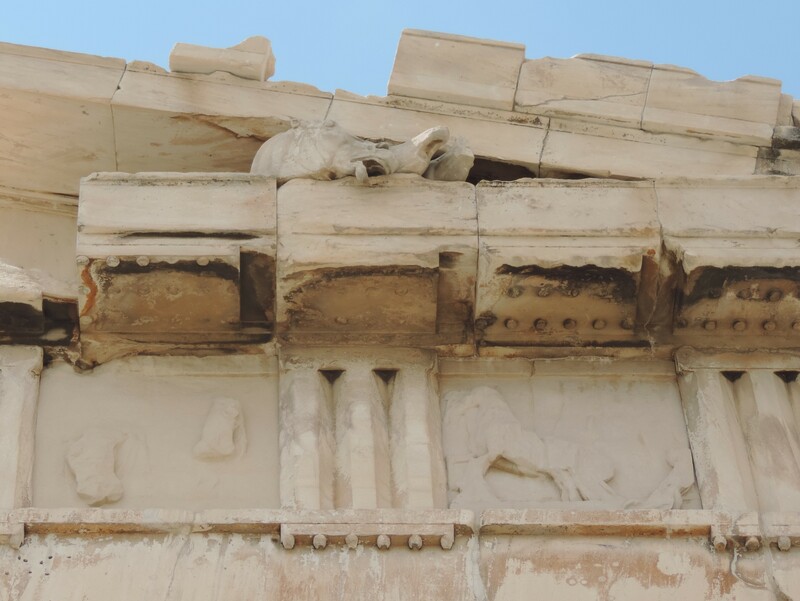 This is one of three Parthenons built during the 5th and 6th century BC. Only recently did archaeologists realize they form a perfect triangle when these three temples were viewed from high above. Considering the fact they were not all built at exactly the same time and the positioning of these temples predate Hellenes known ability to triangulate their position, it would seem to be purely coincidental. Especially when you consider their placement in very specific places that leave no room for adjustments. The Parthenons at Acropolis in Athens, Aphaia on Aigina island nor Sounio at the cliffs edge of Attica could be moved a few hundred feet this way or that way in order to get the precise triangle formation without falling off the mountain or into the sea. So this mystery remains unsolved. 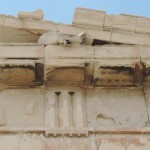 Temple of Aphaia. Built using Lego? 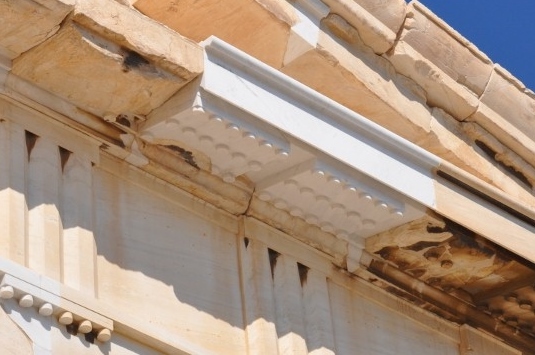 This photo of the Aphaia temple pediment clearly shows the marble Lego pieces used to secure the temple joints. How did every one miss it? The same way the indigenous tribes that first came face to face with Columbus could not see the big tall ship moored offshore; they could only see the little row boats that brought them to the beach. Just like the native’s eyes could not see something they never imagined so our modern eyes could not see the Lego pieces embedded in the Parthenon. Which goes to illustrate once again how low our civilization has sunk when we can no longer conceive of something we created 2,500 years ago. For those who are still curious, hungry or thirsty for knowledge it is a nutritious food for thought.